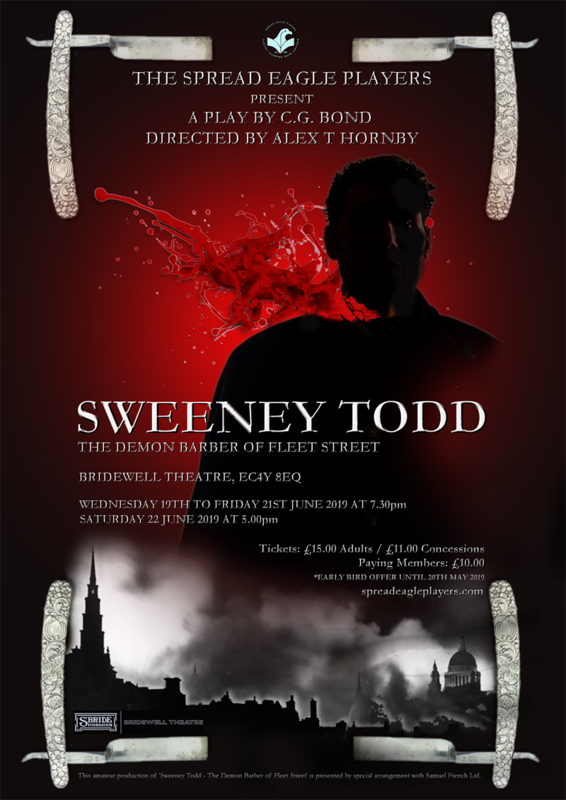 We are currently taking bookings for Sweeney Todd: The Demon Barber of Fleet Street by C G Bond. To book tickets, please select a performance and fill in your details below. We are currently performing at the Bridewell Theatre. Our Early Bird offer is available until 20/5/2019 and lets you buy tickets at a discounted price.